Australians taking cholesterol-lowering drugs called statins are being urged to stay on them after US regulators ruled they must carry warnings about a small increased risk of diabetes or memory impairment. Hundreds of thousands of Australians are believed to be using statins to reduce their risk of heart disease. The Food and Drug Administration (FDA) in the US has announced statins must now carry warnings about the risk of diabetes and memory impairment following studies showing a link with statins in a small number of cases. Australia's Therapeutic Goods Administration is considering the latest information and may also require similar warnings. Health professionals and academics in Australia say the benefits of statins far outweigh the small risks identified and people on the drugs should not stop taking them, and consult their doctors if they have concerns. University of NSW professor of clinical pharmacology Ric Day said the latest identified small risks should not be an invitation to stop taking statins without consulting prescribers. "I think it would be very bad if people got frightened and stopped the drug without proper consideration of their own risk benefit with someone who can help," he said. Prof Day said statins were vitally important for people who had suffered a heart attack or stroke or to prevent another one. "It all gets down to what an individual's risk profile is for cardio-vascular events." Prof Day said that could be fairly well calculated now based on age, family history, weight, tobacco use, blood pressure and so on. He said one issue identified by the FDA in the US was raised blood sugar levels in some people using statins so for someone who was diabetic or pre-diabetic that was not good. But Prof Day said that was usually picked up in routine medical checks. The other FDA concern related to memory and other brain function loss in a few cases but again this could be reversed by people being taken off statins or having the dosage lowered, he said. The director of the Baker IDI Heart and Diabetes Institute, Garry Jennings, said statins clearly benefited many people and had been trialled probably more than any other therapeutic drug around. He said the link to brain function loss was contentious while the blood sugar increase affected only a minority of users. The study, published in the journal BMJ Open, analysed 10,500 people taking a wide-range of sleeping pills, including tamazepam and diazepam. They compared people taking sleeping tablets with those who were not using the drugs but had a similar lifestyle and health conditions. People taking higher doses of tamazepam pills, which were dispensed 2.8m times in England in 2010, were six times more likely to die in the next two-and-a-half years. For the drug zolpidem, which was prescribed 733,000 times in England in 2010, the risk of death was 5.7 times higher for those taking them most frequently. The drug zopiclone, which was prescribed 5.3million times in England in 2010, was included in the full analysis but not calculated separately. Lead author Dr Daniel Kripke, of the Scripps Clinic, wrote in the British Medical Journal Open: "The meagre benefits of hypnotics [sleeping pills], as critically reviewed by groups without financial interest, would not justify substantial risks. "A consensus is developing that cognitive-behavioural therapy of chronic insomnia may be more successful than hypnotics." Sleeping pills, known as hypnotic, are thought to increase depression and can impair driving skills. Dr Kripke has passed his findings on to the Food and Drug Administration, the watchdog to the pharmaceutical industry in the United States. Around a third of people in the UK are thought to have bouts of insomnia, and it can become a debilitating problem for some. Insomnia tends to be more common in women and is more likely to affect people as they get older. The authors said their findings, together with similar findings in previous studies, should be used by authorities to re-assess whether even modest doses of sleeping pills are safe. They estimated the drugs may be linked with between 320,000 and 507,000 deaths in America. Dr Trish Groves editor of the journal said: "Although the authors have not been able to prove that sleeping pills cause premature death, their analyses have ruled out a wide range of other possible causative factors. "So these findings raise important concerns and questions about the safety of sedatives and sleeping pills." NHS guidelines say zolpidem should only be used at the lowest possible dose and for a maximum of up to four weeks. Zaleplon should only be used at the lowest possible dose and for a maximum of up to two weeks, while temazepam should be taken for a maximum of four weeks. Nina Barnett Royal Pharmaceutical Society spokesperson on older persons medicines, said: “This is an important study and although it is unlikely to radically change prescribing in the immediate term, it should raise awareness and remind both patients and prescribers to the potential risks of sedative use for insomnia. "The association between mortality and sedation is not new and this research tells us is that people who took these medicines were more likely to die than people who didn't take them. However it does not mean that the deaths were caused by the medicine. Malcolm Lader, professor of clinical psychopharmacology at the Institute of Psychiatry at King's College London, said people should not panic as a result of the findings and stop their medication suddenly. He said patients could suffer epileptic fits or serious withdrawal symptoms if they stopped their medication suddenly. Professor Lader said the research was a careful study from a well-respected professional but more studies were needed. "I agree that these drugs do have problems but I find some of these results quite difficult to accept," he said. "The main one is that with 18 doses a year you have three times the mortality - that's quite incredible because you would have people dropping like flies. "The study needs to be replicated in a different sample and I think we need to hold judgment until we have further studies. "What we don't want is people stopping sleeping tablets and then going through a very disturbing period of insomnia. "People should discuss this with their GP but should not under any circumstances stop taking their medication." Your brain may look and act "older" than it really is if your diet is low in omega-3 fatty acids, a new study suggests. The nutrient is often found in fish. Researchers found that people with low omega-3 fatty acid levels had smaller brains, and did worse on tests of memory and thinking skills, compared with people who had higher omega-3 levels. "There have been several studies that have shown that omega is beneficial to the heart," said study co-author Dr. Zaldy Tan, a geriatrician at the University of California, Los Angeles. "It may be beneficial to brain health as well." The study was published Monday in the journal Neurology. As we age, our brains get smaller, and previous studies have linked brain shrinkage with declines in mental functioning, dementia and Alzheimer's disease. According to the American Heart Association, omega-3 fatty acids boost heart health, reducing the risk of dying of cardiovascular disease. 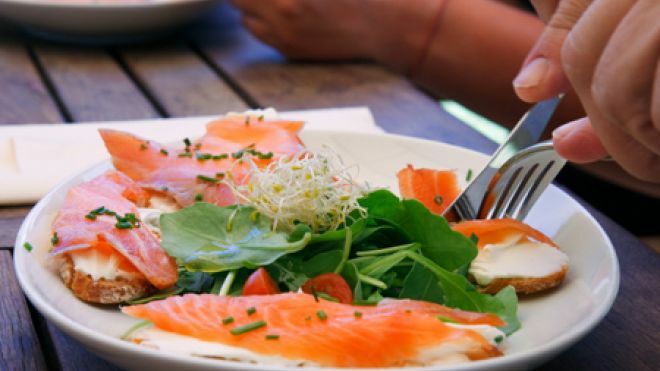 The association recommends eating small portions of oily fish twice a week (oily fish are those that contain about 15 percent healthy fat, such as salmon, mackerel, herring and sardines). Additionally, the group advises that people with coronaryheart disease eat fish daily, or talk to a doctor about adding omega-3 to their diet. Although the study shows a link between lower levels of omega-3 and smaller brains, Tan said "it's premature to recommend that people take omega-3 just for brain health." He said that improving vascular health by lowering blood pressure and decreasing inflammation could be one potential mechanism than explains the link, but "nobody knows for sure yet." Parent alert! With innocent-sounding names like Monkey Dust, Purple Rain, White Rush and Vanilla Sky, “bath salts” may sound like something you swirl into a tub of hot water. But these outlawed designer drugs pack a dangerous double punch similar cocaine plus methamphetamines, researchers from Virginia Commonwealth University warned this week. Aimed at teens and young adults, bath salts are still on sale: Just this week, bath salts were discovered in police raids at six Pennsylvania businesses in Berks, Centre and Schuylkill Counties. And these drugs are still sold online – where they’re also sometimes called "plant food," "party powder" and “insect repellent.” They’re usually sold in small packets, about the size of a moist towelette. Problems rose dramatically through 2011: Bath salts can trigger suicidal thoughts, violent behavior, hallucinations and agitation as well as high blood pressure, increased heart rate and even death. According to new statistics from the American Association of Poison Control Centers, calls to poison control centers about serious reactions to bath salts jumped from 304 in 2010 to 6,138 in 2011. Sixty percent of the time, cases involved people age 25 and younger. They wallop the brain: In their new study, the Virginia Commonwealth University researchers said they were shocked at this synthetic stimulant drug’s effects on the brain. “Methamphetamine and cocaine operate in the brain in completely opposite ways,” noted researcher Louis J. De Felice. “It would be atypical that both drugs would be taken together, but that’s the effect that occurs with bath salts.” His group found that two ingredients — mephedrone and methylenedioxypyrovalerone – both produce long-lasting feelings of euphoria. The study will be presented in late February at the annual meeting of the Biophysical Society. True confession: I was barely aware of bath salts until recently. And I know I’m not alone. Plenty of parents don’t know much about these drugs – or how easy it is for teens (or even younger kids) to get their hands on them. Now there’s help. This month, the White House’s Drug Policy Director and the nonprofit anti-drug organization The Partnership at Drugfree.org announced new, nationwide efforts to help law enforcement and parents learn more about bath salts and other synthetic drugs (more on those others, such as synthetic marijuana, in a later blog post). Parents will find an easy-to-understand yet comprehensive information kit here. Why 'bath salts' are dangerous, though not illegal in all states. Editor's note: On Sept. 7, 2011, the U.S. Drug Enforcement Administration (DEA) invoked its "emergency scheduling authority" to control three synthetic stimulants -- mephedrone, MDPV, and methylone -- commonly called "bath salts" or "plant food" and marketed under such names as "Ivory Wave," "Purple Wave," Vanilla Sky," and "Bliss." The DEA plans to make possessing and selling these chemicals, or products that contain them, illegal in the United States.The emergency action will remain in effect for at least a year, during which time the government is expected to call for permanent control of the drugs. "The presumption is that most bath salts are MDPV, or methylenedioxypyrovalerone, although newer pyrovalerone derivatives are being made by illegal street chemists. Nobody really knows, because there is no way to test for these substances," Horowitz says. "It’s confusing. Is this what we put in our bathtubs, like Epsom salts? No. But by marketing them as bath salts and labeling them 'not for human consumption,' they have been able to avoid them being specifically enumerated as illegal," Horowitz says. "You can find them in mini-marts and smoke shops sold as Ivory Wave, Bolivian Bath, and other names," Horowitz says. "The people who make these things have skirted the laws that make these types of things illegal. While several states have banned the sale of bath salts, ultimately it will have to be a federal law that labels these as a schedule 1 drug, which means it has no medicinal value but a high potential for abuse, and declare them illegal." The clinical presentation is similar to mephedrone [a chemical found in other designer drugs], with agitation, psychosis, and stimulatory effects. Both of these agents should be of concern, as severe agitated behavior, like an amphetamineoverdose, has occurred. A second concern is the ongoing suicidality in these patients, even after the stimulatory effects of the drugs have worn off. At least for MDPV, there have been a few highly publicized suicides a few days after their use," Horowitz says. "We don’t know if they are addictive. We have not had enough long-term experience with it. Acute toxicity is the main problem. But many stimulants do cause a craving. The people who take them are very creative. They snort it, shoot it, mix it with food and drink," Horowitz says. "That’s right. 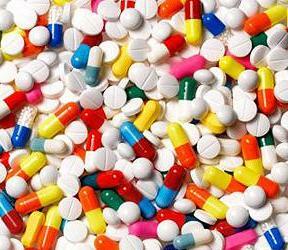 They are part of a long line of other pills and substances that we call designer drugs. And drug makers will keep creating new combinations at home and in illicit labs," Horowitz says. "It’s almost impossible to keep up. And the motivation for buying them is always the same: Drugs like these are new and below the radar, unlike named illegal drugs." Secel Montgomery Sr. stabbed a woman in the stomach, chest and throat so fiercely that he lost count of the wounds he inflicted. In the nearly 25 years he has been serving a life sentence, he has gotten into fights, threatened a prison official and been caught with marijuana. Traumatic brain injury (TBI) is not uncommon. About 8.5 percent of American adults have a history of TBI, most of it mild. In prison, however, that number increases dramatically. Almost 60 percent of prisoners have some history of traumatic brain injury. Since traumatic brain injury can change behavior and cause problems with emotional and impulse control, TBI may prolong prison sentences and may precipitate repeat offences. Because these symptoms may co-exist with other psychiatric problems, they can be hard to recognize as being due to TBI. In fact, it's likely that this statistic under-represents the true prevalence of TBI in prisons, as memory problems associated with the injury and lack of physician's diagnoses may cause some cases to be missed. The FDA has warned that treatment with antipsychotic drugs increases the risk of death among elderly patients with dementia, and now a new study confirms that some drugs are riskier than others. Compared to patients treated with the newer second-generation antipsychotic drug Risperdal (risperidone), patients who took the older, first-generation drug Haldol (haloperidol) had twice the risk of death. The study is by far the largest ever to examine death risk associated with antipsychotic drug use in patients with dementia. The drugs are often used to calm down dementia patients who can become agitated, sometimes to the point of violence. Researchers from Harvard Medical School reviewed data on more than 75,400 elderly residents of nursing homes in 45 states across the U.S. They conclude that certain antipsychotic medications may differ in the risk of death among the elderly with dementia. The study appears today in the journal BMJ. In 2005, the FDA warned that second-generation antipsychotic drugs, also known as atypical antipsychotics, were associated with an increased risk of death in older patients with Alzheimer’s disease and other age-related dementias. In 2008, the warning was expanded to include conventional, first-generation antipsychotic drugs. Despite the safety concerns, both first- and second-generation antipsychotics are still prescribed for the treatment of agitated elderly dementia patients when non-medical interventions have failed, geriatrician Gisele Wolf-Klein, MD, tells WebMD. Cord Blood Registry (CBR) is the exclusive partner for a growing number of clinical researchers focusing on the use of a child's own cord blood stem cells to help treat pediatric brain injury and acquired hearing loss. To ensure consistency in cord blood stem cell processing, storage and release for infusion, three separate trials have included CBR in their FDA-authorized protocol--including two at the University of Texas Health Science Center at Houston (UTHealth) working in partnership with Children's Memorial Hermann Hospital, and a third at Georgia Health Sciences University, home of the Medical College of Georgia (MCG). This makes CBR the only family stem cell bank pairing researchers with prospective patients for these studies. "Partnering with a series of specialists who want to research the use of a child's own newborn blood stem cells on a variety of disease states allows CBR to help advance medical research for regenerative therapies by connecting the child whose family banked with CBR to appropriate researchers," said Heather Brown, MS, CGC, Vice President of Scientific & Medical Affairs at Cord Blood Registry. "The pediatric specialists from UTHealth, Children's Memorial Hermann Hospital, and Georgia Health Sciences University are at the forefront of stem cell research as they evaluate cord blood stem cells' ability to help facilitate the healing process after damage to nerves and tissue." Sensorineural hearing loss affects approximately 6 per 1,000 children by 18 years of age, with 9 percent resulting from acquired causes such as viral infection and head injury. (1,2,3) The Principal Investigator of the hearing loss study is Samer Fakhri, M.D., surgeon at Memorial Hermann-Texas Medical Center and associate professor and program director in the Department of Otorhinolaryngology - Head & Neck Surgery at UTHealth. He is joined by James Baumgartner, M.D., sponsor of the study and guest research collaborator for this first-of-its-kind FDA-regulated, Phase 1 safety study of the use of cord blood stem cells to treat children with acquired hearing loss. The trial follows evidence from published studies in animals that cord blood treatment can repair damaged organs in the inner ear. Clients of CBR who have sustained a post-birth hearing loss and are 6 weeks to 2 years old may be eligible for the year-long study. "The window of opportunity to foster normal language development is limited," said James Baumgartner, M.D. "This is the first study of its kind with the potential to actually restore hearing in children and allow for more normal speech and language development." Although the neurologic outcome for nearly all types of brain injury (with the exception of abuse) is better for children than adults,(4,5) trauma is the leading cause of death in children,(6) and the majority of the deaths are attributed to head injury. (7) Distinguished professor of pediatric surgery and pediatrics at UTHealth, Charles S. Cox, M.D. launched an innovative study building on a growing portfolio of research using stem cell-based therapies for neurological damage. The study will enroll 10 children ages 18 months to 17 years who have umbilical cord blood banked with CBR and have suffered a traumatic brain injury (TBI) and are enrolled in the study within 6-18 months of sustaining the injury. Though researchers are becoming increasingly aware of the long-term effects of head injury, few studies have looked at the prevalence of traumatic brain injury (TBI) in all age groups, including males and females, taking into account both mild and serious events. In a recent study published in Epidemiology, Mayo Clinic researchers applied a new, refined system for classifying injuries caused by force to the head and found that the incidence of traumatic brain injury is likely greater than has been estimated by the Centers for Disease Control and Prevention (CDC). "Even mild traumatic brain injuries can affect sensory-motor functions, thinking and awareness, and communication," says study author Allen Brown, M.D., director of brain rehabilitation research at Mayo Clinic. "In assessing frequency, we have likely been missing a lot of cases. This is the first population-based analysis to determine prevalence along the whole spectrum of these injuries." Researchers used the Mayo Traumatic Brain Injury Classification System, a new brain injury method that classifies head injuries along a more comprehensive scale than ever before. The categories label patients with "definite," "probable" and "possible" TBIs, providing a way to incorporate symptoms such as a brief period of unconsciousness or even an injured patient's complaint of dizziness or nausea. Using the Rochester Epidemiology Project, a several decades-long compilation of medical records in Olmsted County, Minn., the team determined that TBIs occur in as many as 558 per 100,000 people, compared to the 341 per 100,000 estimated by the CDC. Researchers found that 60 percent of injuries fell outside the standard categorization used by the CDC, even though two-thirds of them were symptomatic. Mayo researchers found the elderly and the young were found most at risk for "definite" and "possible" injury, respectively, and men were more at risk than women. The findings reinforce ongoing efforts by the CDC to create a brain injury classification that more broadly encompasses traumatic head injury. "With more complete assessment of frequency, we'll have better tools to develop prevention programs, optimize treatments, understand cost-effectiveness of care and predict outcomes for patients," says Dr. Brown. Other study authors include Cynthia Leibson, Ph.D.; Jeanine Ransom; Nancy Diehl; Patricia Perkins; and Jay Mandrekar, Ph.D., all of Mayo Clinic, and James Malec, Ph.D., of the Rehabilitation Hospital of Indiana. Mayo Clinic is a nonprofit worldwide leader in medical care, research, and education for people from all walks of life. For more information, visit www.mayoclinic.org/about/ and www.mayoclinic.org/news . Millions of Americans suffer from tremors. Some procedures to fix the problem involve cutting into the brain, but a non-invasive breakthrough procedure could help patients steady their lives. ABOUT THE NERVOUS SYSTEM: The brain is "hardwired" with connections, which are made by billions of neurons that make electricity whenever they are stimulated. The electrical patterns are called brain waves. Neurons act like the wires and gates in a computer, gathering and transmitting electrochemical signals over distances as far as several feet. The brain encodes information not by relying on single neurons, but by spreading the information across large populations of neurons, and by rapidly adapting to new circumstances. Motor neurons carry signals from the central nervous system to the muscles, skin, and glands of the body, while sensory neurons carry signals from those outer parts of the body to the central nervous system. Receptors sense things like chemicals, light, and sound and encode this information into electrochemical signals transmitted by the sensory neurons. And interneurons tie everything together by connecting the various neurons within the brain and spinal cord. The part of the brain that controls motor skills is located at the rear of the frontal lobe. NEW TREATMENT: Traditional therapies for tremor treatment involve invasive brain surgery, but with the use of MRI's and ultrasounds neurosurgeons are using a new, non-invasive procedure on patients to help stop certain types of tremors that interfere with their everyday lives. The technique uses a combination of an ultrasound to heat up and kill the problem cells, and an MRI to allow surgeons to visualize and precisely target the affected regions of the brain. Patients most prefer this new treatment over traditional therapies for tremor treatment because the new procedure provides a scalpel-free approach to reduce and eliminate tremors. Traumatic brain injury (TBI) is well known to damage the brain tissue that controls thinking and movement as well as the part of the brain that controls hormone production. Some of the steroid hormones are known to vastly reduce damage to brain tissue after a TBI. The incidence of hormonal problems after TBI is staggering. Recent attention is shedding more light on this common issue due to the large number of veterans returning from wars in Iraq and Afghanistan with head injuries from improvised explosive devices. When you factor in the many others suffering from lingering brain injuries, the picture gets much bigger. Each year, approximately two million Americans suffer from some sort of brain injury, ranging from mild (such as concussions) to severe, due to childhood head injuries, car accidents, sports and even childbirth. A sudden impact to the head from external forces, or even sudden acceleration or forceful rotation, can cause an acute TBI with effects lasting anywhere from a few hours to becoming a life-long condition. Despite decades of laboratory research and clinical trials, a safe and effective treatment for traumatic brain injury has yet to reach clinical practice. This failure is due in part to past research targeting a single mechanism of injury and treatment. This fails to account for the fact that traumatic brain injury is a very complex disease caused by a cascade of systemic toxic events in the brain and throughout the body. Research is now turning to drugs that act on multiple genes, proteins, and metabolic pathways to improve structural and functional outcomes after brain injury. Of the agents now in clinical trials, the neurosteroid progesterone appears to hold considerable promise. Many still assume that progesterone is “just a female hormone” with limited, if any, neuroprotective properties, but this view is outdated. Two clinical trials demonstrated the effectiveness of using progesterone to successfully treat patients with moderate-to-severe head injury, resulting in sparing the lives of about 50% of those treated. This revelation provides a ray of hope for both practitioners and patients with TBI. Emerging data on vitamin D, itself a steroid hormone, has begun to provide evidence that, like progesterone, it too is neuroprotective, although some of its actions may involve different pathways. The combination of progesterone and vitamin D in pre-clinical and clinical studies is an exciting approach to TBI treatment. More than 1 million veterans are in jails and prisons in the U.S. More than 2,000 of them are in North Carolina prisons, arrested for crimes ranging from theft, to drugs, to murder. Many incarcerated veterans suffer from Post-Traumatic Stress Disorder, traumatic brain injury or other mental health issues. The problems are side effects of their service that they might not recognize until it’s too late. But there is a new effort in Mecklenburg County to help them. Wesley Woodling will never forget the night he killed an innocent man, someone he mistakenly thought was trying to rob him. He was trained in the National Guard and served in Iraq and Kuwait. He was diagnosed with PTSD and bi-polar disorder and discharged in 2008. He said he was suicidal and hearing voices after he returned to his Charlotte home. But there may be help for Woodling and other veterans who are having trouble adjusting to civilian life. Joe Rapley works with a new pilot program in Mecklenburg County called Operation Recovery. His team identifies veterans in jail and advocates for them before they go to trial. “We will talk to public defenders and judges and let them know what we have here is a veteran who has post-traumatic stress or a traumatic brain injury and they’ve never received any care for it,” he said. If the court agrees, Veterans Affairs benefits cover their care. And if the veterans stick to their treatment plan, the criminal charges may be reduced. Before the program, no one was even tracking the number of veterans behind bars, Rapley said. “Judges have been key. We’ve had judges say, ‘We want to help out military folk, so what can we do?’” Rapley said. Now the program has helped more than 200 jailed veterans in Mecklenburg County in the last year. Most of the veterans helped by the program had never connected with veterans services until after they were incarcerated. The program might have worked for Woodling. “I wanted help. I was crying for help,” he said. As he serves his sentence at Alexander Correctional Institution, he said he is finally stabilized and on the right medication. “I think I have a chance at a normal life now, but it’s not fair because someone else doesn’t,” he said. Operation Recovery was launched in Mecklenburg County and 13 other sites around the country. If it is successful, it could be expanded statewide or nationwide. Before the rules that made kickoffs safer, before NFL guidelines about sitting players who have suffered concussions, before defenseless receiver became a part of the Sunday conversation, offensive lineman Mike Schad remembers getting knocked unconscious while blocking as part of the wedge for the Los Angeles Rams' kick-return team. "Before they made all those changes I got ear-holed," said Schad, who would go on to play with the Eagles from 1989 to 1993. "Next thing you know, I'm sitting on the sideline." Two days later, Schad was back in practice, using his head to help fend off defensive linemen, a technique his coaches had taught, he said. There was no talk of concussions or long-term consequences. But as Schad saw two former Eagles teammates die young, he grew concerned. Safety Andre Waters killed himself at age 44; guard Tom McHale, Schad's backup one season in Philadelphia, died of a drug overdose at 45 after becoming addicted. Each was later found to have chronic traumatic encephalopathy, a degenerative brain disease in athletes with a history of brain trauma. It can lead to memory loss, confusion, aggression, depression, and dementia. After seeing what happened to his teammates, Schad said recently, "I'm worried about my future. I'm worried about what's happened. I'm 48." Schad is one of an estimated hundreds of former players suing the NFL, saying the league failed to provide them proper information about the risks of concussions, downplayed the potential problems, and didn't keep up with studies published outside of league circles. "They relied on the league, trusted the league to know when it was healthy for them to play, and the league failed them miserably," said Craig Mitnick, a Haddonfield attorney who is part of a team representing Schad and other former Eagles, including linebackers Seth Joyner and Jeremiah Trotter, whose suit was filed Friday. The NFL will strongly contest the claims by these players and many others who have sued in recent months. "The NFL has long made player safety a priority and continues to do so," said a statement from the league. "Any allegation that the NFL intentionally sought to mislead players has no merit." The lawsuits come as research and public discussion have made brain trauma a prime topic of discussion in professional sports and youth leagues alike, from football and hockey to soccer and lacrosse. While legal scholars don't see a significant threat to the NFL in terms of the financial impact of the suits, the filings carry a steep public relations risk for America's most popular sport. The suits could put a spotlight on some of the former sports heroes left debilitated by the violence that has helped fuel the NFL's popularity. "What's a crisis for the league is just the perception of football and its safety and the sustainability of the game," said Robert Boland, a sports law professor at New York University. "It is the single biggest sustainability concern for the league." It is one that the league is meeting with an aggressive public push and numerous rule changes in recent years. "There is nothing more important to the NFL than the safety of our players, and there is no issue of greater importance when it comes to player safety than the effective prevention, diagnosis, and treatment of concussions," NFL commissioner Roger Goodell told a meeting of neurological surgeons in October. The charge from the former players, though, is that it has taken the NFL far too long to reach this point. There has been evidence for years of the long-term problems resulting from brain trauma, and that evidence has been seen acutely in Philadelphia and Pittsburgh. After Steelers Hall of Fame center Mike Webster died of heart failure at age 50, Dr. Bennet Omalu found that he suffered from chronic traumatic encephalopathy. Webster had battled depression, drug abuse, and violent tendencies. That was in 2002. Omalu later found CTE in another ex-Steeler, Terry Long, and then Waters. In 1994 the NFL formed the mild traumatic brain injury committee to study the effects of concussions. But, the lawsuits argue, the committee dismissed research that showed long-lasting consequences from concussions. Outside doctors were often critical of the committee's work. "The NFL was in position to know more about this and the science than anyone else and to make something happen, and they let the guys down," said Larry Coben, an attorney who grew up in Philadelphia and filed the first of what he estimates are now 20 lawsuits against the league. "It was only after they realized the writing on the wall that they began to get more serious about it." As recently as 2007, a league pamphlet drew the ire of neurological experts for language that downplayed the risks of suffering multiple concussions, even though contemporary studies argued otherwise. No one had a clue. Not his coaches. Not his teammates. Not even his mother, looking on from her usual spot in the grandstand. On a foggy November night four years ago, Drew Rickerson found himself wandering around the sidelines of a football field in Sequim, Wash., a city of 6,600 on the state's Olympic peninsula. He was 15 years old, playing quarterback for the Sequim High varsity football team in the final game of the regular season, a week away from the state playoffs. He also was struggling to speak, dazed and disoriented, hardly able to drink water. Minutes earlier, Rickerson had been on the field, rolling out to the right, taking on an opposing linebacker. The two collided, their helmets smashing together like bowling balls. Rickerson suffered a concussion, his brain slamming against the inside of his skull. He should have been evaluated, gone to the hospital, right then and there. A second hit could have caused more brain damage. Killed him, even. But no one had a clue. And so he stayed in the game, for a total of nine additional plays, throwing for a touchdown and running for another, the latter a 23-yard weave though multiple defenders, Russian Roulette in shoulder pads. Rickerson flipped the ball to an official. He staggered toward his team's bench. Felt funny. On the sidelines, he stared at the overhead lights. Shapes became blurry; noises, jumbled. Four times, he sat down, stood up, then asked his coaches if he could sit back down. He dropped his helmet, picked it up, dropped it again. Over and over, he squirted water from a bottle over his shoulder, thinking it was going into his mouth. Nobody noticed. No one had a clue. Not until the game was over, when Rickerson and his teammates turned to face the grandstand. As the young men sang the school's fight song, Jean Rickerson finally got a good look at her son's face. Usually, he would be smiling. "She saw nothing," Drew says. "No life. I was blank. We went over to the ambulance. I don't really remember anything after that." Football has a problem. The game harms the human brain. The danger is acute at the professional level, where large men smash each other for large sums of money; the hazard is less publicized, but greater still, at the high school and youth level, where an estimated 4.8 million children -- sons, nephews and little brothers, most between the ages of 6 and 13 -- batter each other's heads for fun, for the sheer giddy sake of sport. Once upon a time, we called football-induced brain damage getting your bell rung. We treated it with smelling salts. We kept on playing, kept on loving our Friday nights. Times change. The deaths are real. The damage no longer can be ignored. We are starting -- at long last -- to get a clue. Ours is an era of enlightenment, of concussion awareness, which is another way of saying risk management. Stories like Rickerson's -- and other stories that are much, much worse -- have spurred reform. A collective effort to make football safer. We pass laws. Change the rules. Better identify and treat the victims. Lower the odds of catastrophe. We still love Friday nights. Only looming beneath the well-meaning correctives is a darker, more troubling question, one with grave implications for the sport and the children who play it, for every parent looking on from a grandstand: What if awareness isn't enough? What if the risk can't be managed? Am I being a baby? Is my mind making this up? Rickerson had to wonder. He wasn't bleeding. His arm wasn't sticking out sideways. Sequim High was going to the postseason. He badly wanted to be back on the field. Only something was wrong. Five days after being concussed -- after his coaches gave him a postgame wave and said they'd see him at practice -- he had yet to return to school. He saw stars. His thinking was muddled. When Rickerson suddenly could neither feel his limbs nor roll over in bed, he was taken by ambulance to a trauma center in Seattle, 66 miles away. CT and MRI scans of his neck were negative. A physician told Drew to go home, offering no additional instruction. Jean Rickerson sobbed the entire way back. Drew stayed home for two weeks. He attempted to watch television, but found the experience frustrating. Who are these characters? What the hell just happened? He tried to play his favorite video game, Call of Duty, with his sister. He couldn't remember how to reload his digital rifle. His mother would take him for walks. Drew would go 200 yards before turning around. Mom, I can't do this. He returned to school, attending classes on a reduced schedule, from 8-10 a.m. He would come home exhausted, unable to recall what he had studied. Usually an excellent and attentive math student, he regularly slept through class. He would look down at the numbers on his desk and think, I know this stuff. But I can't do it right now. On Christmas, Drew went to his baseball hitting coach's house for dinner. He came down with the worst headache of his life. It lasted for an entire week. Back in class following winter break, Drew still struggled to comprehend Dante's Inferno; a few weeks later, Jean drove him 120 miles to see a University of Washington doctor with extensive concussion experience. The doctor recommended that Drew be given a full neuropsychological evaluation. On tests, he scored in the 16th percentile. Drew no longer worried about the state playoffs, or if he was being a baby. He worried that he was going to be this way for the rest of his life. "The doctor told me that I would be OK, but that I needed to rest my brain," Rickerson recalls. "He gave me strict orders to watch TV and do nothing. Which was OK, expect I still couldn't watch TV for a while." Rickerson's story is hardly unique. According to the American Association of Neurological Surgeons, between 4 percent and 20 percent of college and high school football players will sustain a brain injury during the course of one season; a report cited by CNN medical correspondent Dr. Sanjay Gupta estimates that about one in 10 high school players suffers a concussion. The Boston Globe recently reported that emergency room visits for youth sports-related traumatic brain injuries went up 62 percent from 2001 to 2009. The Centers for Disease Control and Prevention, which has labeled sports concussions "an epidemic," reported last year that roughly 122,000 youths between the ages of 10 and 19 went to emergency rooms for nonfatal brain injuries. For boys, the top cause of injury was playing football. Philip Weeks fondly remembers the days when his wife of 56 years, June, was a nurse and an artist whose paintings were compared to Rembrandt's. Her paintings still hang in their home in Lynchburg, Va., but almost everything else has changed for the couple after she was diagnosed with possible Alzheimer's and then an abrupt form of dementia. In one moment, the retired Charismatic Episcopal bishop said, she would lean over to kiss him. "An hour later, she looked at me and said, 'Who are you?'" he recalled. When the person you married goes through a dramatic change, what's a spouse to do? As Valentine's Day approaches, clergy, ethicists and brain injury experts agree: There are no easy answers. When a couple is faced with the sudden or gradual change in the person who now may no longer be able to give flowers or go out to the movies, it often means a new definition of love. "I made a vow," said an emotional Weeks. "For better or for worse, in sickness and health. She has stood by me in mission work, in the pastorate. Why can't I stand by her now?" Last summer, religious broadcaster Pat Robertson initially suggested on his "700 Club" program that a man divorce his wife who had Alzheimer's and "start all over again" with dating. Alzheimer's, he said, was "like a walking death." He later said he was "misunderstood." In early January, The Washington Post Magazine ran a story about a woman whose husband suffered a traumatic brain injury after a heart attack. She eventually decided to divorce him but continue caring for him with her second husband. On Friday (Feb. 10), "The Vow" hits movie screens, an adaptation of a rereleased book about a young married couple whose serious car accident left the wife unable to recognize her husband. In fact, she thought she was not married. "There's always an obligation, I think, to keep faith with your spouse but the shape that that can take, morally speaking, can vary," said Darlene Fozard Weaver, an ethicist at Villanova University in Pennsylvania. When medical crises interrupt a couple's expectations of wedded bliss, there are all kinds of dynamics to consider: Is the ill spouse now abusive? Can the still-well spouse manage the necessary care? Although "The Vow" is a romantic drama about trying to get a wife to fall in love with her husband again, Fozard Weaver said it's not far from what real-life marriage -- with health challenges or not -- is all about. "Keeping faith in a marriage is always this ongoing process of both remembering what brought you together in the first place but also responding to and embracing the person who's here before you now," she said. The film is based on the real-life story of Kim and Krickitt Carpenter after the couple was involved in the 1993 car accident. Physical therapist Scott Madsen watched the husband move from caretaker to coach to eventually, an again accepted mate. "As she got better, then the relationship became better as well, more of a normal relationship," said Madsen, who served as best man when the couple renewed their vows in 1996. Kim Carpenter writes in the book "The Vow" that some people suggested divorce, saying it might even help with medical expenses. That was not his choice. Greg Ayotte, director of consumer services for the Brain Injury Association of America, said there's a misconception that most spouses of brain-injured patients -- people who have been in a car accident, or had a fall, stroke, or tumor -- head to divorce court. According to two recent studies, the vast majority of married brain-injured patients remain wed.
"In the world of brain injury, the term often used is 'new normal,'" he said. "As you begin to understand the injury, you kind of develop a new normal for your life and your family."